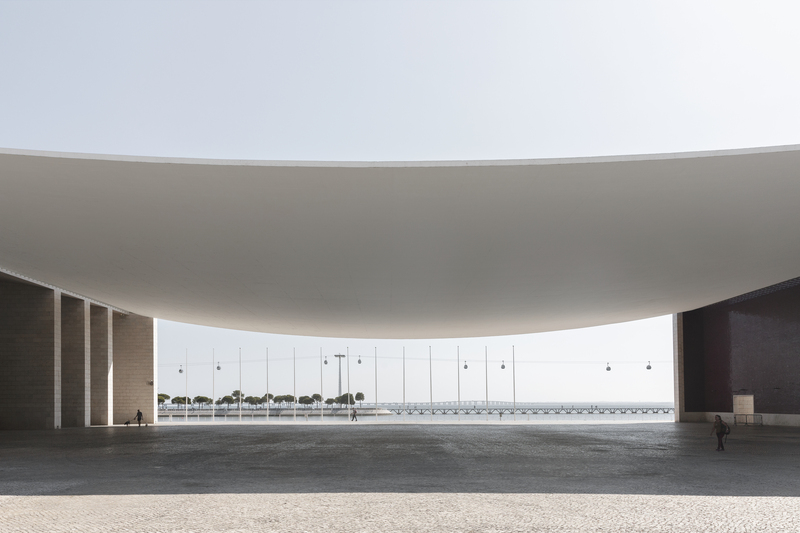 At the Expo ’98 Portuguese National Pavilion, structure and architectural form work in graceful harmony. 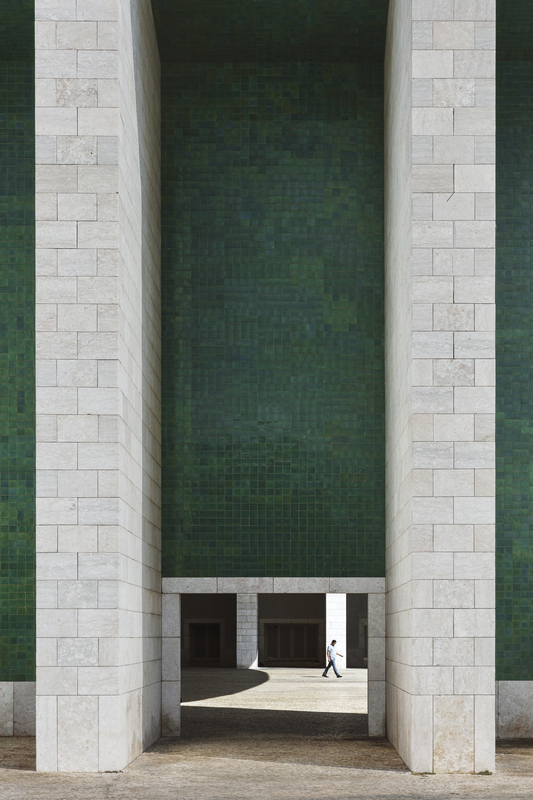 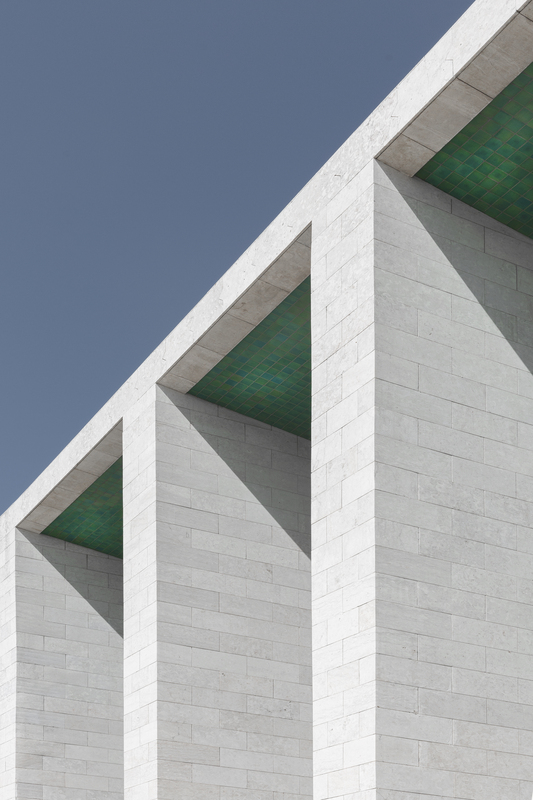 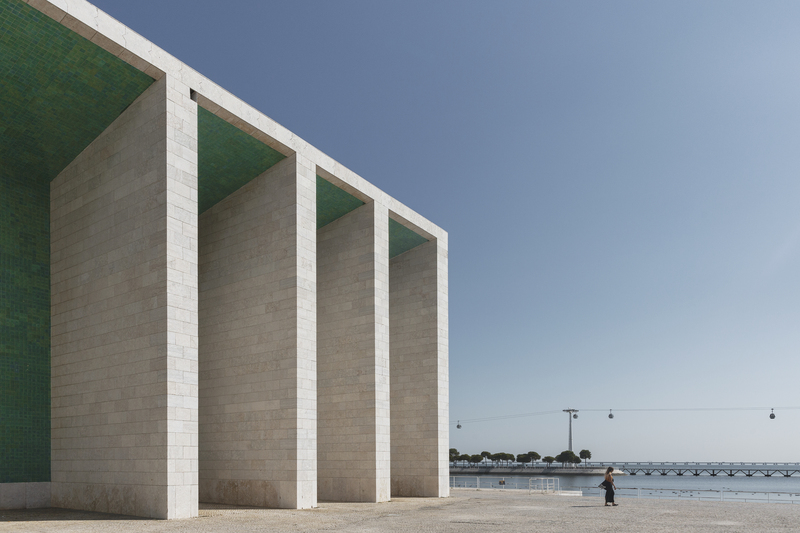 Situated at the mouth of the Tagus River in Lisbon, Portugal, the heart of the design is an enormous and impossibly thin concrete canopy, draped effortlessly between two mighty porticoes and framing a commanding view of the water. 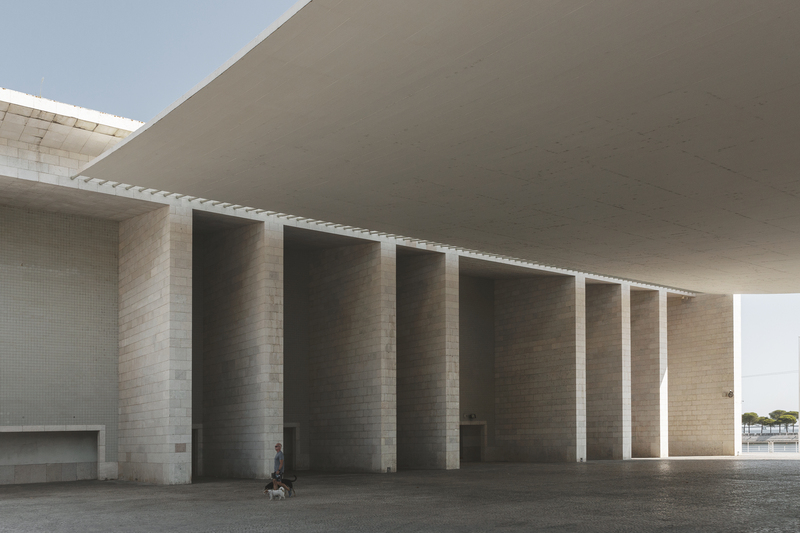 The simple, gestural move is both weightless and mighty, a bold architectural solution to the common problem of the covered public plaza. 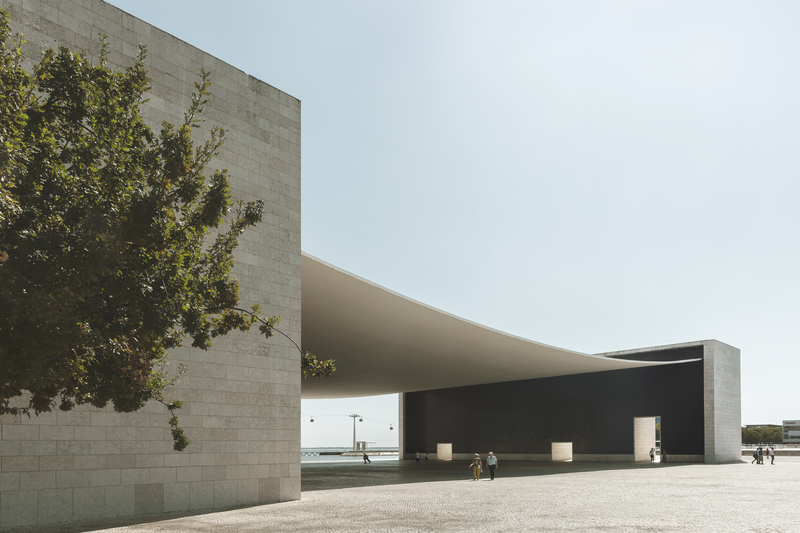 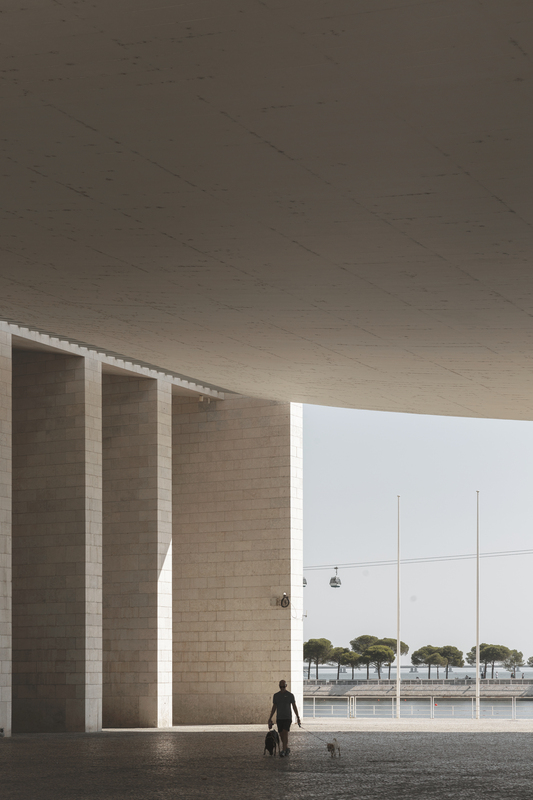 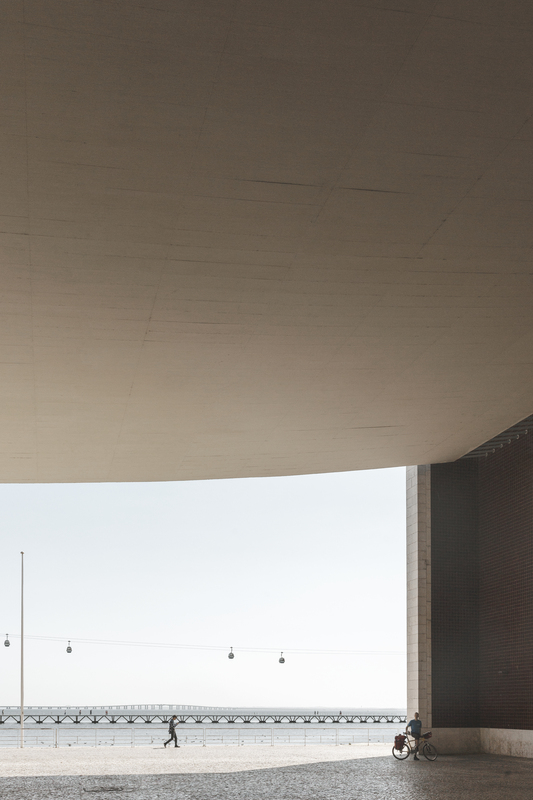 Under the graceful touch of Álvaro Siza Vieira, physics and physical form theatrically engage one another, and simplicity and clarity elevate the pavilion to the height of modern sophistication. 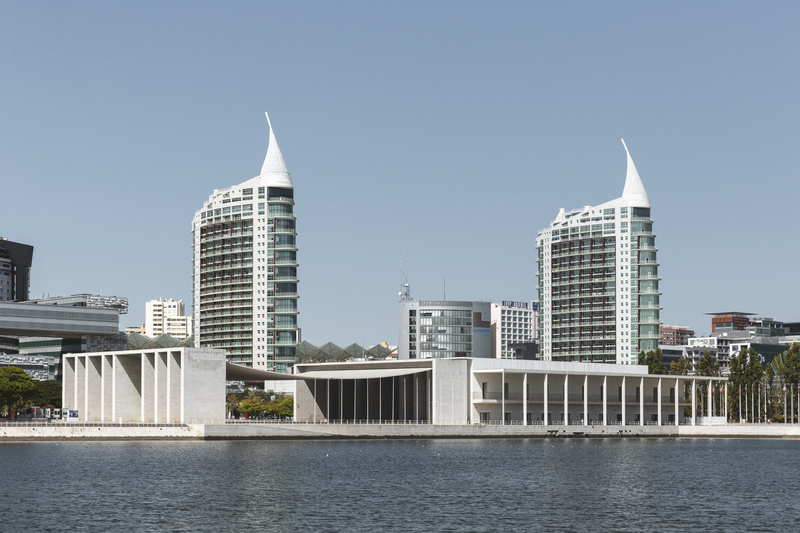 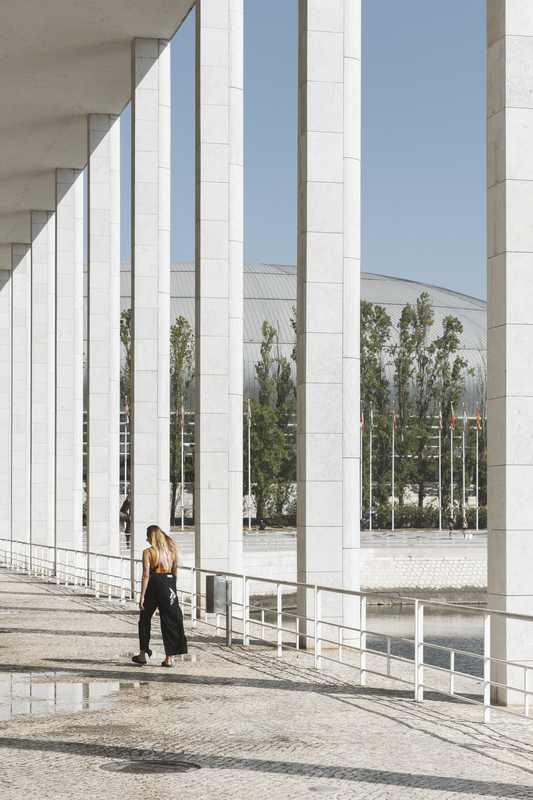 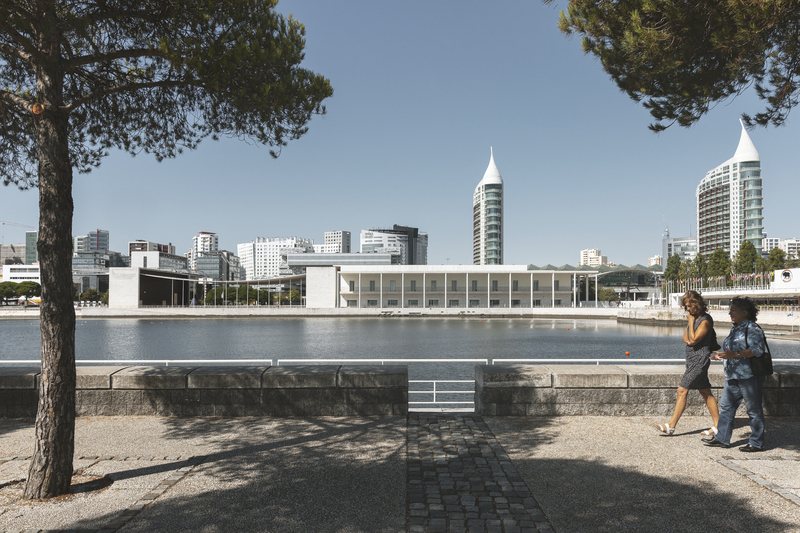 Built for the 1998 Lisbon World Exposition, the building was designed to be the thematic centerpiece of the festival and the host country’s national pavilion. 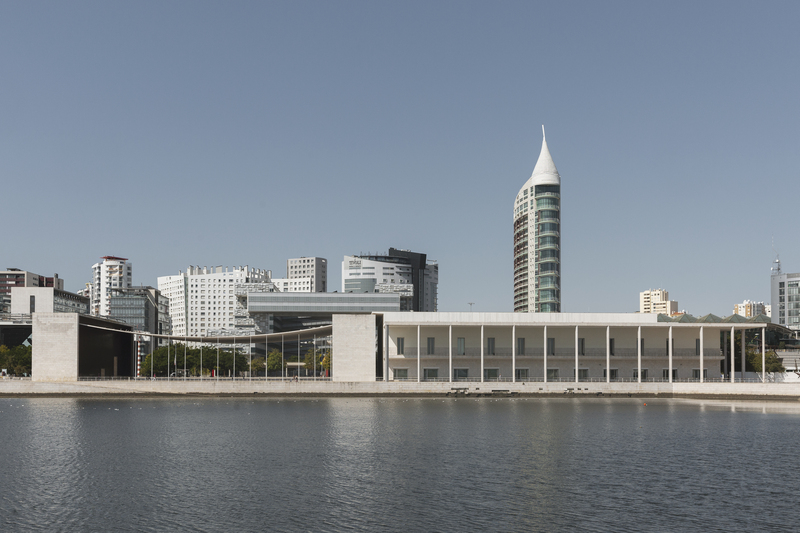 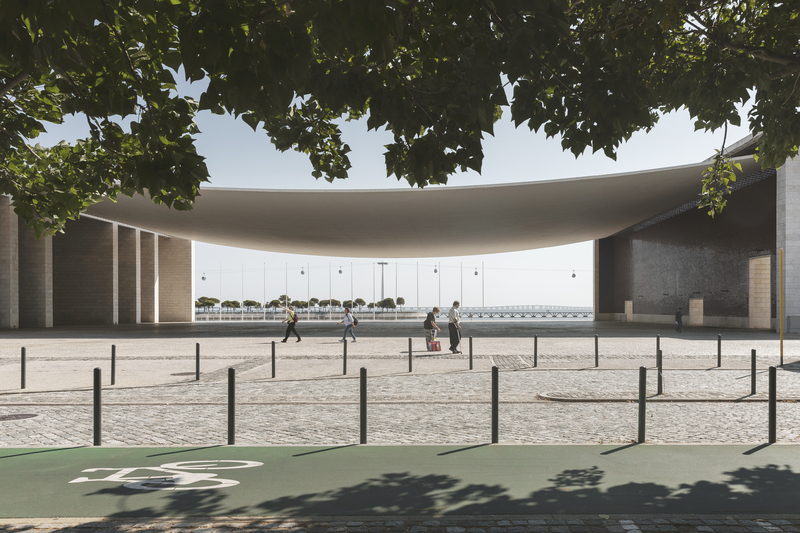 The theme of the Expo, “The Oceans: A Heritage for the Future,” commemorated the heritage of Portuguese discovery and demanded from the architect a sensitive interplay between the pavilion and the harbor. 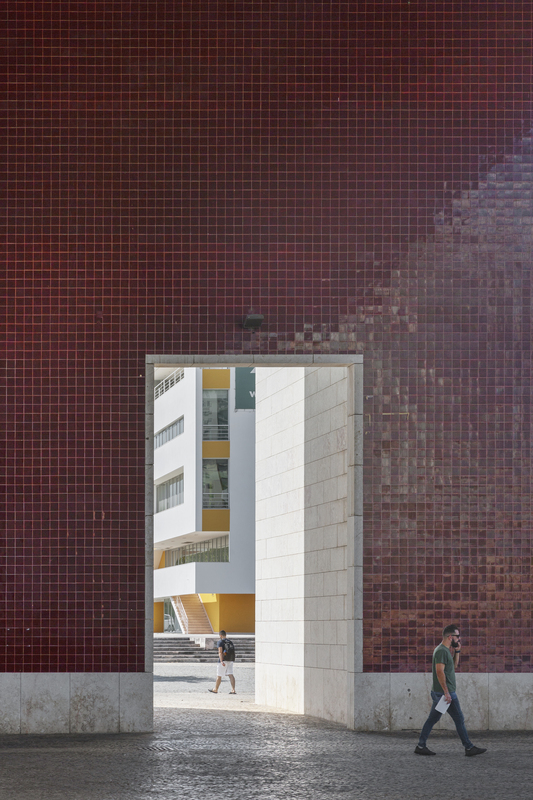 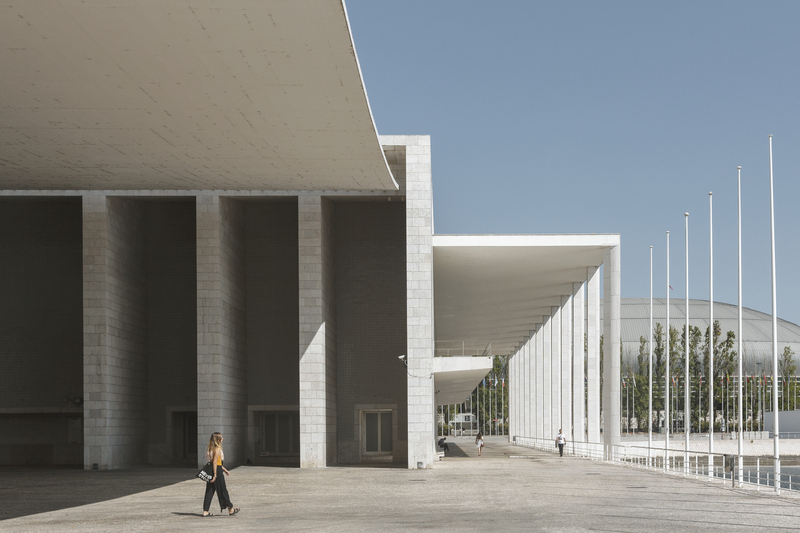 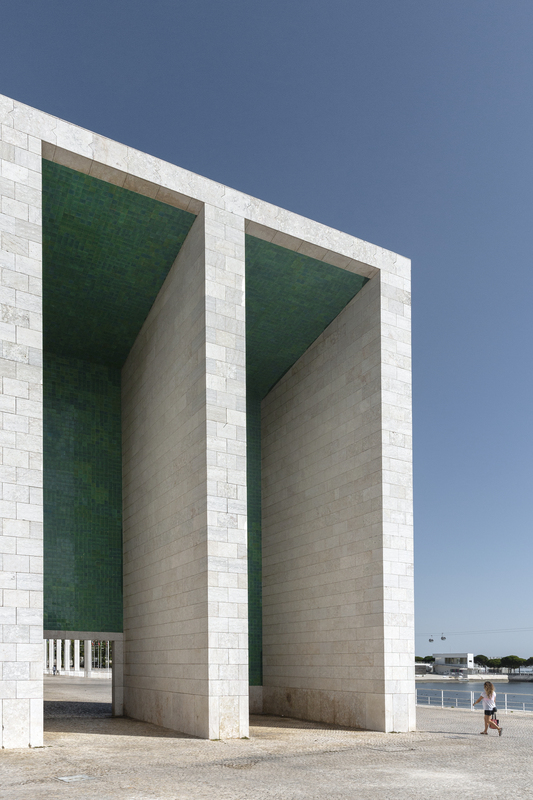 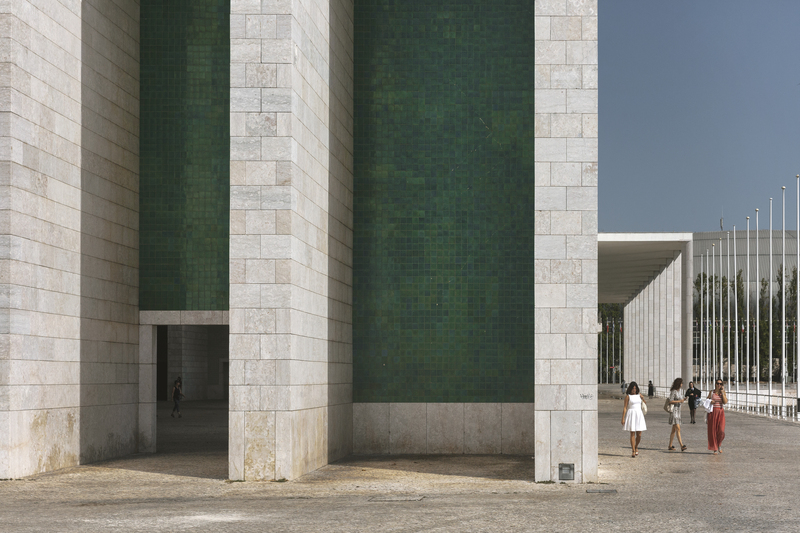 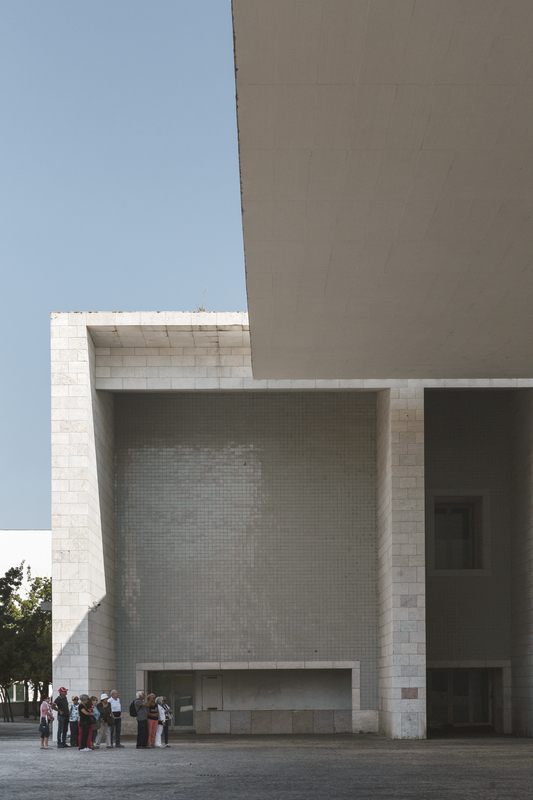 Siza, who at the time was Portugal’s most renowned modern architect, was selected to design the building as the grand entrance to the fairgrounds. 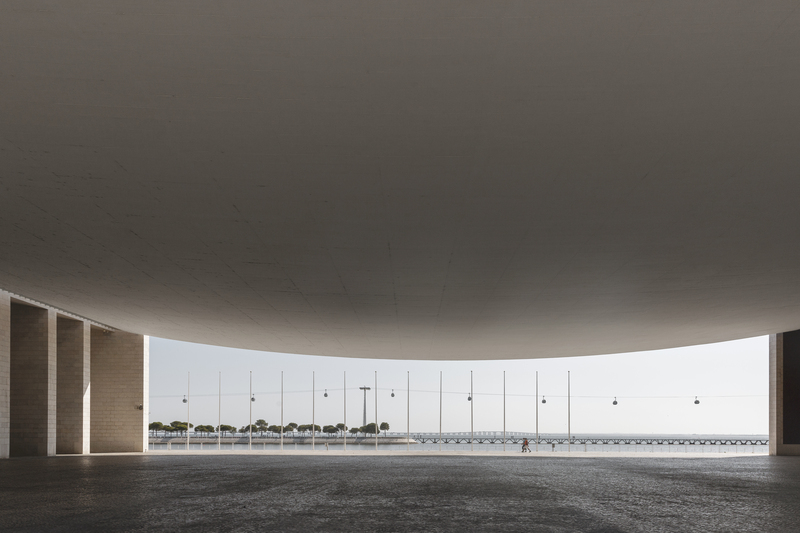 With the help of fellow countryman Eduardo Souto de Moura and the engineering expertise of Cecil Balmond, Siza created a space that was visually striking and highly effective at meeting the festival’s programmatic needs and site-specific requirements.